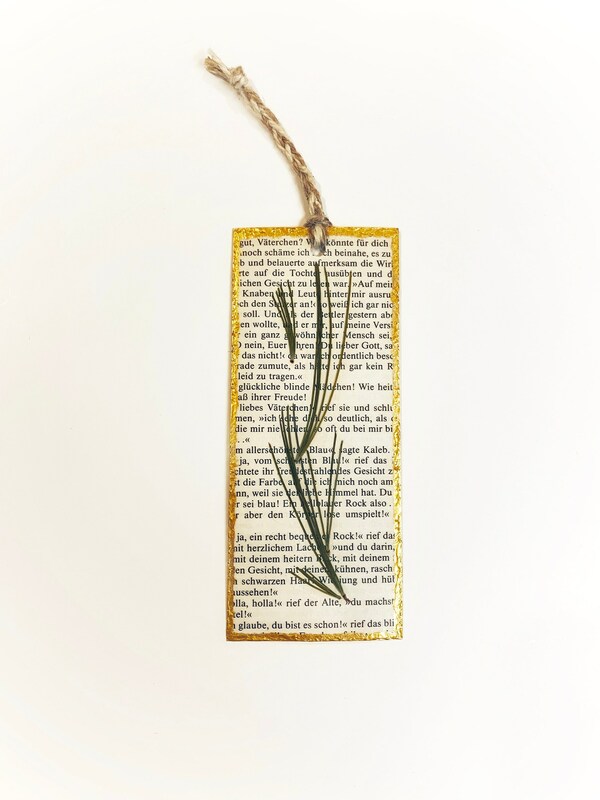 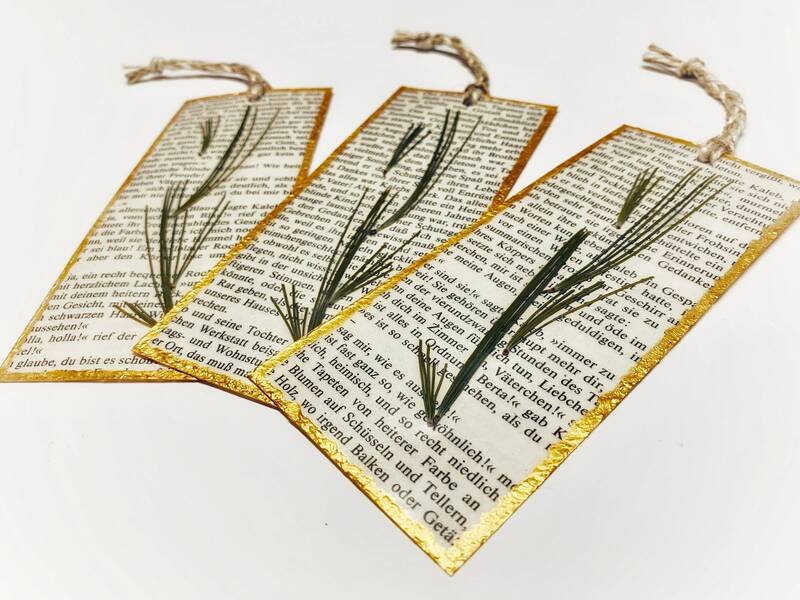 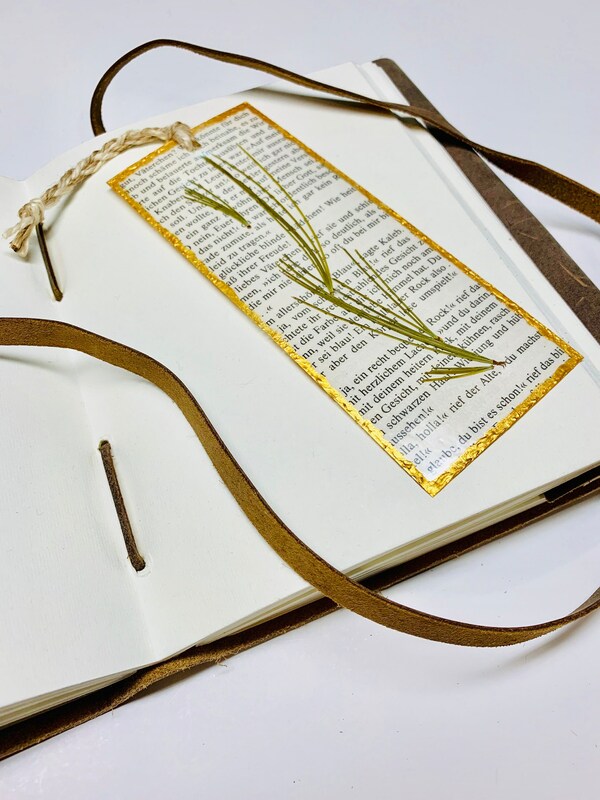 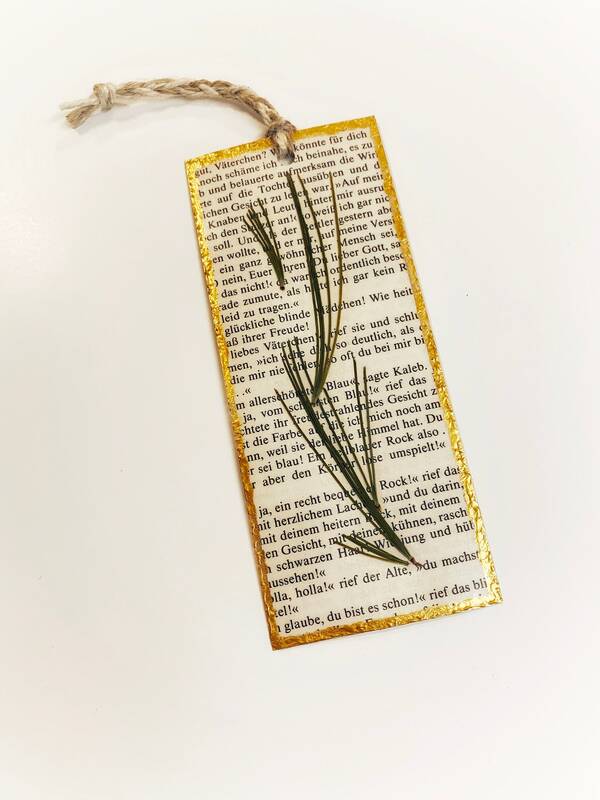 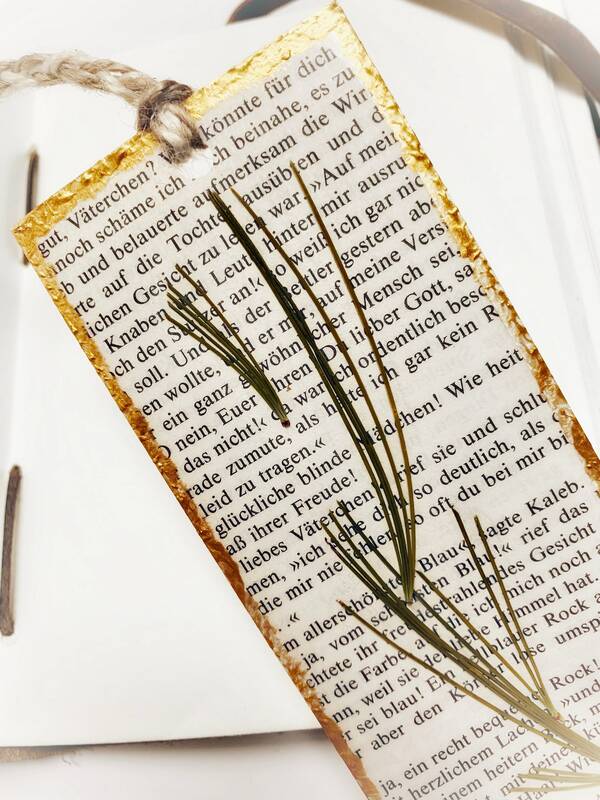 Handcrafted Pressed Flower Bookmark with Evergreen. 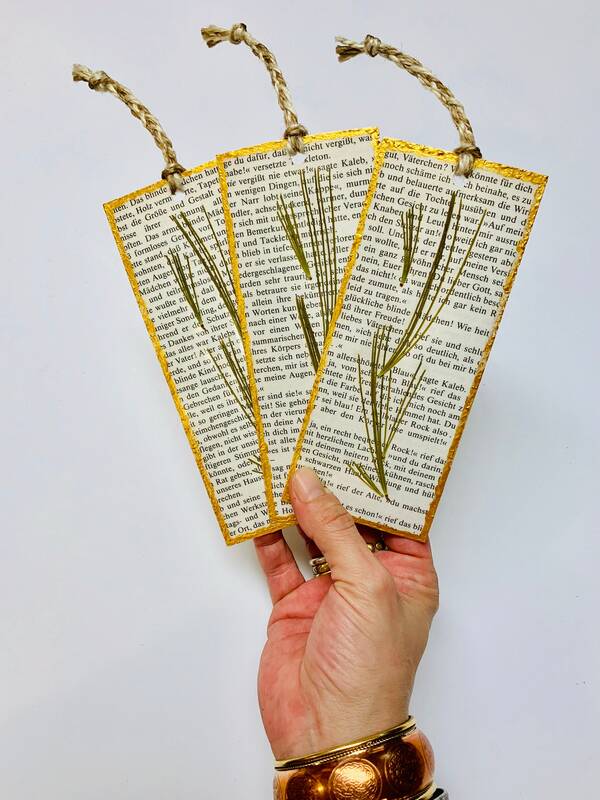 Bookmark measures about 2 1/2 to 6 1/2 inches, without the braided cord. 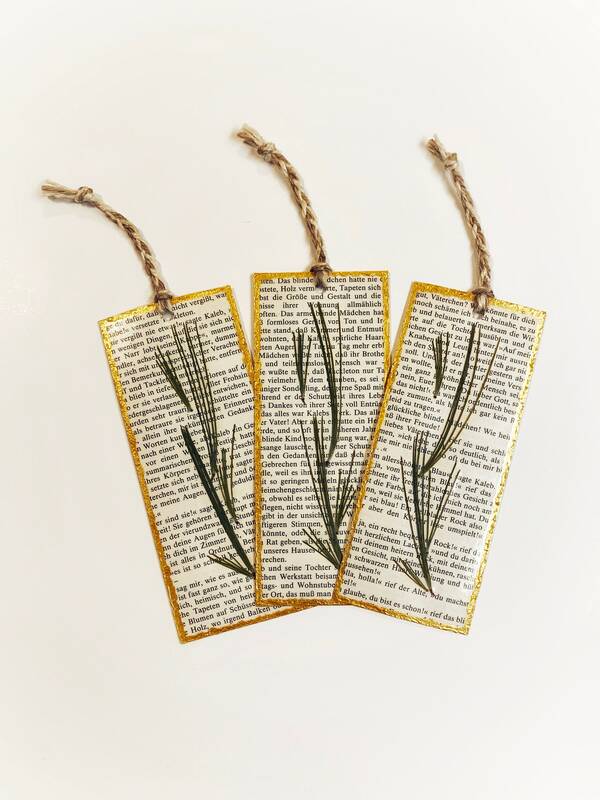 Please know due to the nature of this Item that each Bookmark varies a little bit in design. 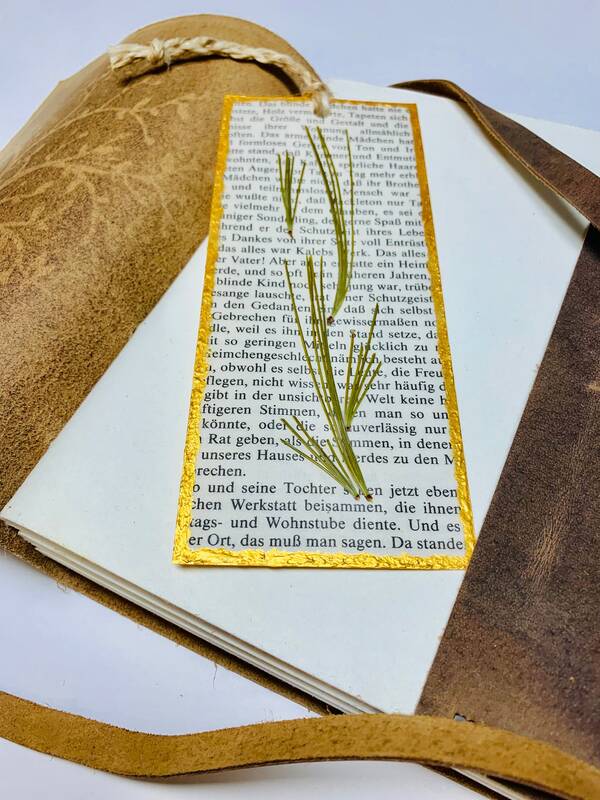 I always try my very best to stay as close to the original as possible. 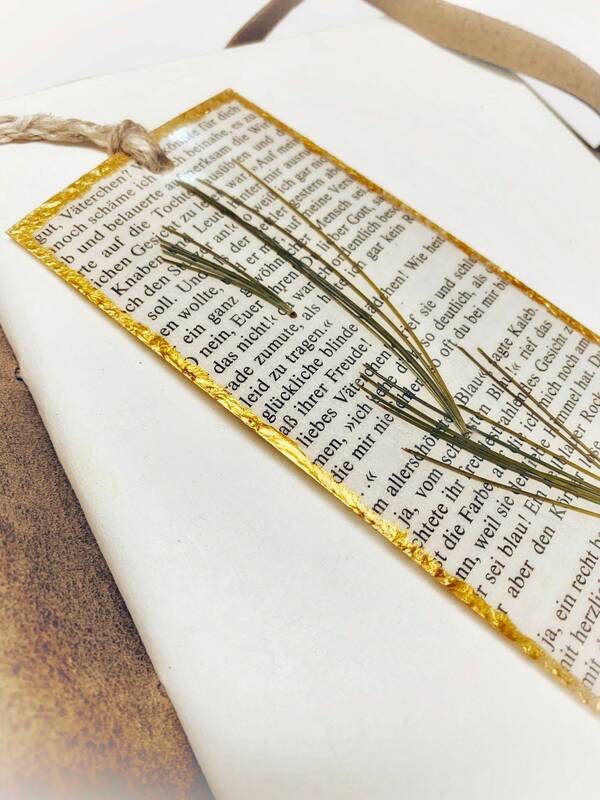 As you can see in the picture, the bookmarks all look a like with slight differences in between them. 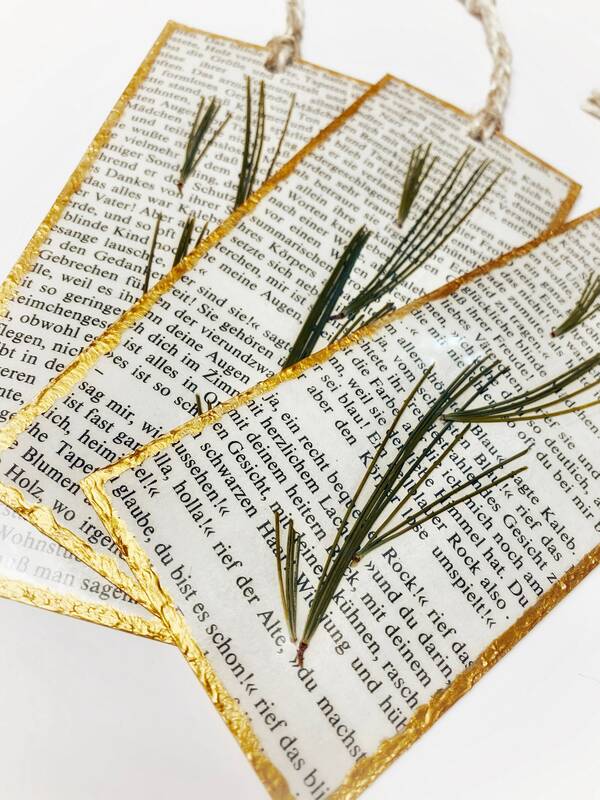 This is what makes them unique and truly one of a kind.